Get Kentucky jewelry & valuables insurance quotes, cost & coverage fast. Personal valuables insurance protects your important KY possessions and can help replace them if they're lost, stolen or damaged. A special kind of joy comes from acquiring new jewelry. Its small and portable, yet very valuable nature makes it a simple target for burglars. It can easily be lost, stolen, or damaged. Insuring your valuables will help ensure you get financial compensation when you make a claim. You can either incorporate them into your existing KY homeowners insurance policy, which can limit coverage based on the type of item and cause of loss, or you can purchase a specific Kentucky Jewelry & Valuables Insurance policy to fully cover your important possessions. It's not just a thing for the wealthy. From jewelry to guns to collectibles, you might have more items of value than you realize. This article answers the most important questions you'd ask about Kentucky Jewelry & Valuables Insurance. What is Classed as a 'Valuable'? Most insurers make a distinction between 'valuables' and other 'items' in your home. Jewelry, watches, works of art, and items made of precious materials like gold are often classed as valuables. But, other items like musical instruments, audio equipment, and computers might also be valuable to you, as well. However, such might not be classified as 'valuables' unless you tell the insurer otherwise. Generally, an item ought to be considered valuable if its cost of replacement exceeds the cover limit applied to your KY home contents' insurance. In such a case, you can ask your insurer to cover that item separately, which will prompt for an additional cost. If you have a home contents' coverage, you should look into it and check its limits. You might find that there's a limit for 'valuables' that's separate to the limit applying to the contents coverage. It's also likely that the insurance company has a limit on how much they would pay out for any one item. This is often referred to as the 'single item limit'. Sometimes called insurance 'floaters,' Kentucky Jewelry & Valuables Insurance is an additional coverage, designed to cover your fine art, jewelry, antiques, wine, coins or nearly any collectible with limits above and beyond what your homeowners policy can offer. These are for individual items of significant value. You can list each item and the amount you need to insure it for. Appraisals might be required to determine value of these items. A good idea is to go through all rooms in your house, listing the contents and giving them a respective value. This will help when you buy your Kentucky Jewelry & Valuables Insurance policy. Pay careful attention to fine artwork, jewelry, and high-value technology items. Remember, you should calculate each item's replacement value. Of course, it might not be possible to get a replacement for the exact item in some cases. For instance, it's impossible to replace sentimental, valuable items such as jewelry gifted to you or family heirlooms. In such instances, the insurance company may offer cash settlement, instead. What Does Kentucky Jewelry & Valuables Insurance Cover? Believe or not, your homeowners insurance policy has limits on the type amount coverage for your valuables. Not only that - if you file a claim, you will have to pay a deductible and it will count as a claim against your home policy and can increase your premium for years to come. That's is why you should consider a Kentucky Jewelry & Valuables Insurance policy. Most of these polices offer a zero ($0) deductible option, which means your are not out of pocket for anything for a covered loss. They can also extend coverage for different types of losses, like if the diamond in your engagement ring falls out of the prongs and you don't know where it went. Kentucky Jewelry & Valuables Insurance typically does not cover intentional damage or destruction of property. How Much is your Jewelry Really Worth? The price of precious metals, like gold and silver varies hugely. Case in point, the price of gold has risen by over 150% in just the past 10 years. Art, antiques, and other collectibles vary in value, as well, according to the prevailing economic and market conditions. It makes sense to get such valuables appraised every few years. Outdated values can end up costing you more if you jewelry is over valued, and if undervalued and you file a claim - you might not get back the items full value. Upon valuation, you might realize that the replacement cost of a treasured piece of jewelry exceeds the single item limit. Getting your valuables valued prior to taking out an insurance policy will help ensure that they're insured for the correct amount. It's highly advisable that you have expensive jewelry appraised after every two years by an accredited jeweler. 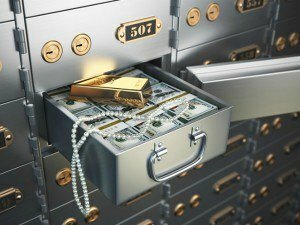 How Much Does Kentucky Jewelry & Valuables Insurance Cost? 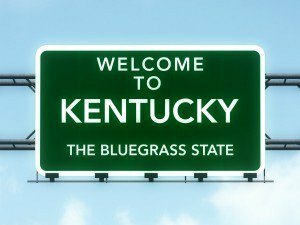 How much does Kentucky Jewelry & Valuables Insurance cost? The average price of Kentucky Jewelry & Valuables Insurance is usually very affordable. The premiums vary depending on the company and their underwriting rules, and it depends on the amount coverage selected. The cost can vary, depending on several factors. These include the value of what you're insuring, the insurer you consult, and where you reside. But, the cost of coverage may be as little as 1-5% of the item's value. Request a Kentucky Jewelry & Valuables Insurance quote in Alexandria, Ashland, Ashton, Bardstown, Berea, Bowling Green, Burlington, Campbellsville, Covington, Danville, Edgewood, Elizabethtown, Erlanger, Fayette, Florence, Fort Knox, Fort Thomas, Francisville, Frankfort, Franklin, Georgetown, Glasgow, Henderson, Hopkinsville, Independence, Jeffersontown, Lawrenceburg, Lexington, Louisville, Lyndon, Madisonville, Mayfield, Maysville, Middlesborough, Mount Washington, Murray, Newport, Nicholasville, Ownesboro, Paducah, Paris, Radcliff, Richmond, Shelbyville, Shepherdsville, Shively, Somerset, St. Matthews, Versailles, Winchester and all other cities in KY. If you are looking for state specific Jewelry & Valuables Insurance quotes, costs and information: California Jewelry & Valuables Insurance, Colorado Jewelry & Valuables Insurance, Delaware Jewelry & Valuables Insurance, Florida Jewelry & Valuables Insurance, Illinois Jewelry & Valuables Insurance, Kentucky Jewelry & Valuables Insurance, New Jersey Jewelry & Valuables Insurance, New York Jewelry & Valuables Insurance, Oregon Jewelry & Valuables Insurance, Pennsylvania Jewelry & Valuables Insurance, Texas Jewelry & Valuables Insurance, Washington Jewelry & Valuables Insurance.